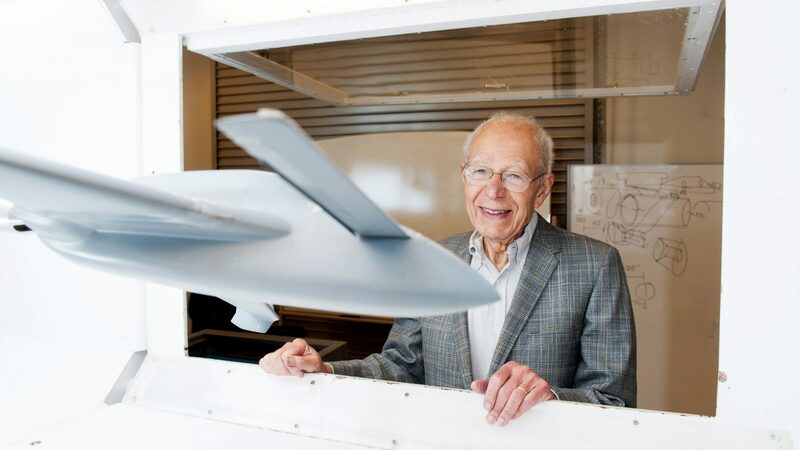 Dr. Hassan A. Hassan, distinguished professor of mechanical and aerospace engineering at North Carolina State University, passed away on January 12, 2019. Born in Palestine on February 26, 1931, Hassan is survived by his wife Nabila, daughter Mona, son Basil, grandchildren, Allison, Amir, and Mazen, great-grandson Oliver, sisters Asma and Samira, brothers Ghazi, Adnan, Mahmoud, and Fuad, and many cousins, nieces and nephews around the world. Hassan was preceded in death by his parents Khadijah and Ahmad, sister Rukayah, and brother Zuhair. Additionally, he leaves behind many colleagues and friends throughout Raleigh and the aerospace community. Hassan graduated from the Arab College in Jerusalem in 1948. He received his BS in Mathematics from the University of London in 1952, his MS and PhD in Aeronautical Engineering from the University of Illinois in 1953 and 1956, respectively. He was a faculty member at University of Baghdad, Iraq, from 1956 to 1959 and at Virginia Tech from 1959 to 1962 rising to the rank of full professor. In 1962, he joined North Carolina State University as a full professor and spent 53 years at NC State until beginning his phased retirement in the summer of 2015. Dr. Hassan saw a lot of change since arriving at NC State. In 1962 the total student enrollment at NC State was about 7,500 and today it is about 36,000. The different programs in diesel engineering, aeronautical engineering, and mechanical engineering were combined and the Department of Mechanical and Aerospace Engineering was formed. In 1964, the Bachelor of Science in Aerospace Engineering was created and Dr. Hassan was the central figure in aerospace research. Dr. Hassan spent every summer at NASA Langley Research Center together with an entourage of students working on research problems side by side with NASA researchers. He continued this practice for more than 30 years until the early 1990s – playing a critical role in the development of NASA’s in-house computational fluid dynamics codes with the special focus on predicting transition and separation – the features of aerodynamic flow that continue to challenge engineers today. He was the major adviser to thirty four doctoral students, authored more than two hundred publications, and has been recognized with numerous research awards including the Alcoa Foundation Distinguished Engineering Research Award, 1987, the Alumni Distinguished Graduate Professor, 1991, the NASA Public Service Medal, 1992, the R. J. Reynolds Co. Award for Excellence in Teaching, Research, and Extension, 1993, the AIAA Thermophysics Award, 1999, and the Alexander Holladay Medal For Excellence, 2004 – the highest honor bestowed on a faculty member by the NC State trustees. More recently, the Dr. Hassan A. Hassan Distinguished Lecture Series, the first lecture series for the Department of Mechanical and Aerospace Engineering (MAE), was established in 2015 through the generosity of Hassan’s former students and fellow faculty members. 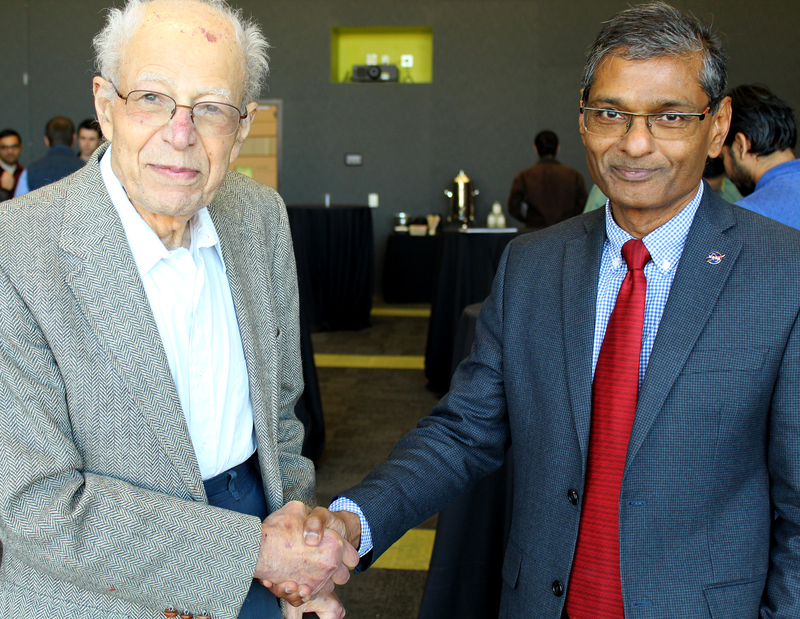 Dr. Richard Gould, former MAE department head, thought of the idea for the lecture series in early 2015 as a way to honor Hassan’s contributions to the department and his impact on the aerospace program. Generous former students, faculty members and alumni established the lecture series to honor Hassan’s legacy. To help sustain the lecture, Hassan created an endowment for $25,000 for the series. Dr. Hassan led the aerospace faculty in developing a national reputation in aerospace research that is second to none. He was among a distinguished group of faculty who formed the program’s CFD center and later the Mars Mission Research Center – the largest research center in the University of North Carolina System at that time. The center trained our next generation of aerospace researchers and engineers. A reception with the family will be held from 4:00 – 7:00 pm on Tuesday, January 15, 2019, at Brown-Wynne Funeral Home in Raleigh, NC. In lieu of flowers, donations may be made to the Prof. Hassan A. Hassan Graduate Award in Aerospace Engineering via www.aiaafoundation.org to help carry on his passion for educating the next aerospace professionals from North Carolina State University.